Mr. Adrian Brezulianu has a Ph.D. degree on Artificial Intelligence / Medical Electronics from Technical University of Iasi, Romania. 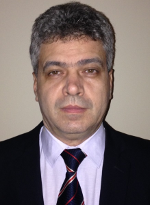 He is working as Managing Director at Greensoft Ltd Company during the last 10 years and as Professor at Faculty of Electronics and Telecommunications, Iasi, Romania during the last 20 years. He gained experience on running significant software projects for corporate entities on the area of utilities (Electrica Romania, CEZ Romania, CEZ Albania, Water companies, Oil companies, etc…), specific ESRI GIS applications (telecom, electricity, cadaster, etc..) and also on developing artificial intelligence solution on the area of industrial optimization, supply chain management, employees scheduling and profiling.